Dr. Stacey Anderson serves as the Medical Director of the UVA Center for Diabetes Technology. She is an adult endocrinologist and research physician who has conducted numerous hospital-based clinical trials, including over 100 hyperinsulinemic clamp procedures involving algorithmic blood glucose control. 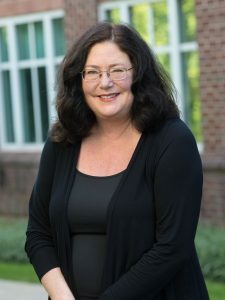 She is the clinician in charge of running the artificial pancreas studies at the University of Virginia and has published papers evaluating the accuracy of continuous glucose monitors. She has clinical expertise in the treatment and management of Type 1 Diabetes Mellitus and has taught Type 1 diabetes management to second year medical students in the Practice of Medicine course and routinely treats T1DM patients in her practice who use insulin pumps and continuous glucose monitors. Dr. Anderson lives in Charlottesville with her family and beloved goldendoodle, Lukie.